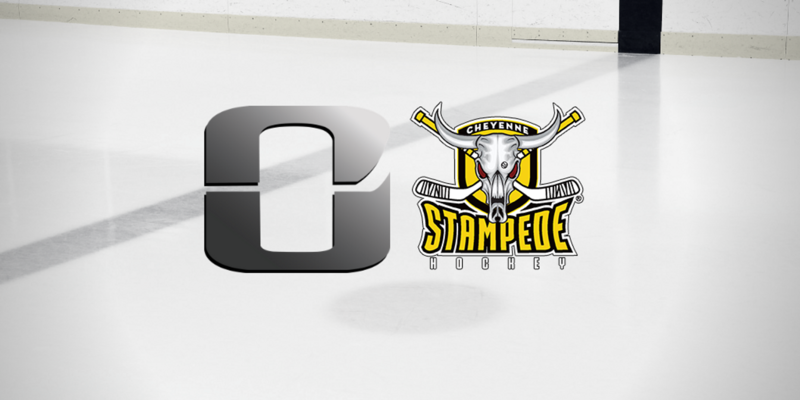 The Utah Outliers took to the ice this past weekend, welcoming Mountain Division opponents the Cheyenne Stampede. Coming into the weekend, Utah was experiencing some up and down moments, holding a record of 7-5-0, while Cheyenne came in with a less stellar record of 0-9-1. The weekend played out as expected, with the Outliers dominating the Stampede throughout the weekend, outscoring their opponents 26-1. For the home team, it was a tremendous result to help build up some positive habits and gain some momentum as they prepare for the potent El Paso Rhinos next weekend. In game one, Utah came out firing. The home team poured on 18 shots while only allowing Cheyenne to get 2. The story however that would hold up for most of Friday and Saturday was that the Stampede goaltending would not be beat easily. The Outliers only managed to get one goal in both the first and second periods on their 38 shots. In the first, the tally was put on the board thanks to Anthony Masanotti, and in the second, Nicholas Ness kept his hot streak alive. The last period of game one was a little bit more favorable for the Outliers, as they were able to muster 18 shots, burying 4 of them. Zak Albers got the ball rolling just seventeen seconds in, followed by Matt Bartel a few minutes later. Ryley Bast increased the lead further, and Kaeden Meuer put the finishing touches on 6-0 victory. Oscar Wahlgren stopped 10 shots for his first shutout of the season. The barrage of shots continued in game two, as once again Utah only allowed 2 shots, but was able to put up 25 of their own. Similar to game one, only one goal was put past Cheyenne’s goaltender, courtesy of Bartel. Unlike game one however, in the second period it was the Stampede who would respond, scoring on a powerplay goal late in the frame. Even though heavily outshot 22-4, the Outliers could not solve Brendan Carew. Once again, the final period belonged to the goal scorers for the boys in black. Bartel scored his second of the game early into the period, followed by a nice tally off the stick of Jakub Lelek. Alex Charin and Meuer went on to add two more powerplay marks to seal a 5-1 win. Kenton Kim turned away 8 shots to earn his second win of the season. An offensive onslaught was the theme for game three, as Utah had worn down Cheyenne to the point of exhaustion. The sticks came alive as the Outliers exploded for 15 goals. The tempo for Utah picked up as the game went along, with the boys in black scoring 3 goals in the first, 5 in the second, and 7 in the third. Distribution was spread out with 8 goals being scored at even strength, 6 on the powerplay, and 1 shorthanded. Bartel led the charge offensively with 4 goals and 3 assists. Other multiple goal scorers were Lelek (2), Albers (2), and Nicholas Ness (2). Five other Outliers also scored a goal. Captain Zach Dornseifer led in the playmaking department with 5 assists. Lelek added 4, while Tristan Slot, Christian Bundschuh, and Ness all added 3. Numerous other Outliers also added assists. Net minder Jack Walsh followed Oscar’s Friday night start by earning his first shutout as well, also garnering 10 saves. Utah ends their long home stand and now prepares to travel to El Paso, Texas to take on the defending Thorne Cup Champions the El Paso Rhinos. The series will be a good benchmark as both teams look to stay amongst the elite in the WSHL this season. Stay tuned this week for more information about the team, the weekend series, and also a new player joining the team this week.